Solomon is a founding partner of Mozaic Capital with over 27 years of experience investing and managing institutional private equity investment portfolios. Prior to forming Mozaic Capital, Solomon was a Managing Director at Siguler Guff where he joined the firm in 2010 as a senior member of the investment team. Solomon worked on separate accounts and interacted closely with CIO’s of pension funds in analyzing and disposition of private equity partnership interests. From 1988-1997 Solomon was at the California State Teachers Retirement System (CalSTRS) as the Director of the Alternative Investments program. During his tenure, CalSTRS committed over US$2 billion to US and European partnerships, and made the first secondary investment for the program. While at CalSTRS, he also helped establish the Institutional Limited Partners Association (ILPA) and served as the group’s Chairman until leaving the pension fund in 1997. Solomon holds an M.B.A. from the Sheldon B. Lubar School of Business at the University of Wisconsin and a B.S. in Biology and Biochemistry from the Marquette University. He also attended the American University of Beirut. Solomon was an Adjunct Assistant Professor of Finance and Investments at the Edward S. Ageno Graduate School of Business at Golden Gate University. Solomon is currently a trustee of The Church Pension Group, an $11 Billion Pension Fund where he serves on the Investment and Audit Committees. Christine is a founding partner of Mozaic Capital with over 12 years of experience in private equity investing, portfolio management and transaction structuring. Prior to forming Mozaic Capital, Christine founded a private equity consulting practice advising large institutional clients on divesting private equity interests, fund structuring and valuation. Prior to running her own consulting practice, Christine was an investment professional at HarbourVest Partners were she spent five years. While at HarbourVest, Christine invested and advised on over $700 million in private equity fund interests. Christine also advised on a number of secondary transactions while at HarbourVest, with a particular focus on the secondary infrastructure transactions. Prior to HarbourVest, Christine was a founding member of the infrastructure M&A advisory practice at Citigroup in New York. While at Citigroup, Christine advised private equity managers, listed fund managers and alternative asset fund managers, whom she advised on multi-billion dollar acquisitions and divestitures. Christine also advised clients on private equity fund structuring, private placement, and initial public offerings for private equity listed funds. 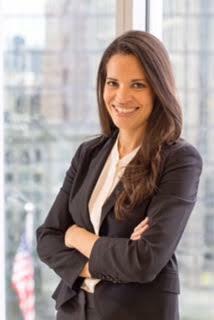 Prior to her role in the investment bank, Christine was a founding member of the Public Sector Group at Citigroup, where she advised sovereign clients on large asset divestitures. Her career at Citigroup began in the Structured Corporate Finance group. Christine holds an M.B.A. from MIT's Sloan School of Business and a B.S. from Babson College. Christine currently sits on the City Year Seven Generations Board in Boston, and is an advisory board member of Shine for Girls. Maureen Lynch is the Operations Manager for Mozaic Capital bringing 18 years of operations and management experience. Prior to joining Mozaic Capital, Maureen spent three years as Administrative Team Manager at Bain Capital, managing and directing 100+ administrative personnel throughout across six US offices. 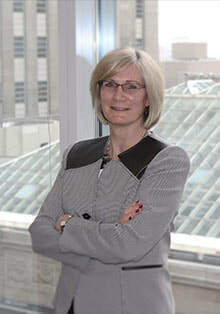 Prior to her role at Bain Capital, Maureen was Office Manager for the Boston office of SVG Advisers. Her responsibilities at SVG included firm compliance, accounting, HR, and general administration. Maureen studied Business Management at Quincy College and is an active member and club officer at Quincy Toastmasters.